Thousands of drones were used to put on a pre-recorded light show during the opening ceremony for the 2018 Winter Olympics in Pyeongchang, South Korea, Friday morning for the first time, according to Intel, which is overseeing the event. A total of 1,218 drones outfitted with LED lights were used to paint "colorful illustration in the sky," setting a new Guinness World Record on the number of drones flown at the same time, according to an Intel spokeswoman. Intel holds the current record after 500 drones were flown simultaneously for a light show in Krailling, Germany, on Oct. 7., the spokeswoman said. The drones are controlled through an automated software program, though they do have one pilot for backup, Intel said. In addition to the opening ceremony, the drones will be used throughout the games, creating light-filled formations every night from Feb. 10 to Feb. 24 during the nightly victory ceremonies. 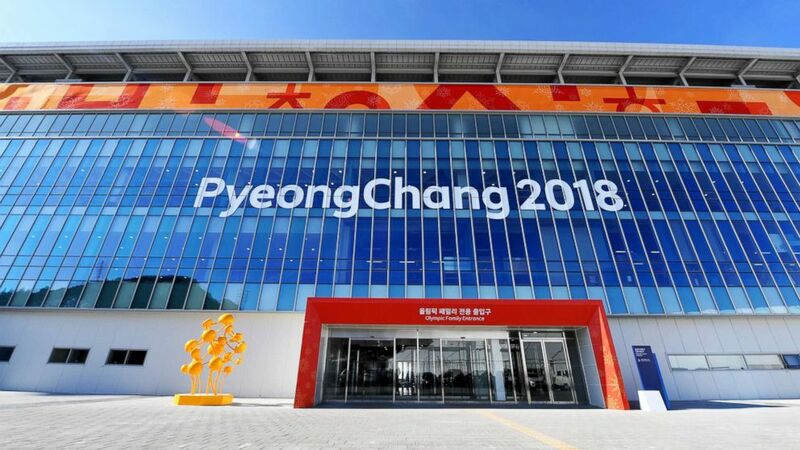 "It's something that we wanted to integrate that experience into the Olympics on a daily occasion, because not everyone is going to be at the opening ceremony, and we want to give everyone in Korea a chance to see these shows," said Natalie Cheung, the general manager for Intel's drone light shows. An athlete on a snowboard, a bird of prey in flight, and, of course, the five interlaced Olympic rings are among the aerial illustrations that viewers can anticipate seeing during the shows. The drones are lightweight and are the only ones of their kind, built specifically for outdoor light shows, according to Intel. Because Intel's drones had never flown in such cold temperatures, members of the drone light show team ventured to the Alps to test how they would operate in minus-10 degree Celsius weather. "We were a little bit more creative about this," Cheung said. "We changed our operations so that we had literally minutes for us to bring the drones outside the temperature-controlled room into the fields so we could fly. We needed to make sure the batteries were warm enough so the drones could fly." Intel is the official drone partner of the Olympic games.